I don’t know what it is about florals, but I have become obsessed. In my wardrobe, that means black with big and bold floral prints. On my kids, though, it translates to a light, bright, almost whimsical look. 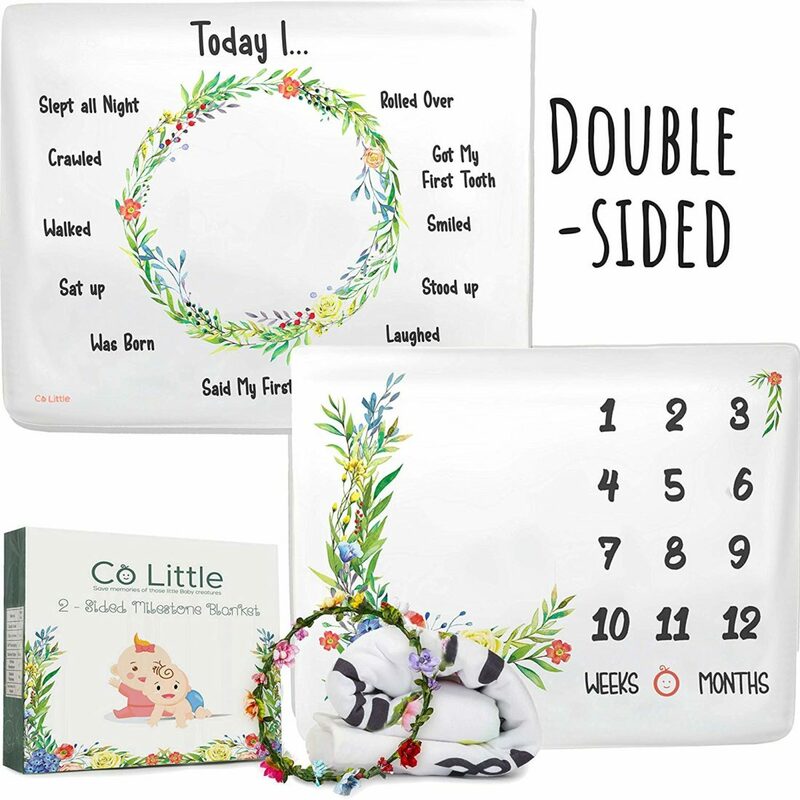 This floral milestone blanket is absolutely perfect for taking monthly pictures as baby grows, and it can be flipped over to track fun milestones, too! Definitely on my favorites list now. Add it right to your cart on Amazon now!